Posted on 29 December 2013. It was our final evening as we gathered around a small table in our lodge. The students took turns talking about their favorite memories, locations, and activities, as we passed around the bandana one final time before cutting and dividing it. I looked around and couldn’t believe the changes I saw in these young adults. Their features, still engraved in my memory, were exactly the same as 3 weeks ago, yet their mannerisms and conversations had drastically matured. Each student had become an individual in just 3 short weeks, something that takes teens years to accomplish. 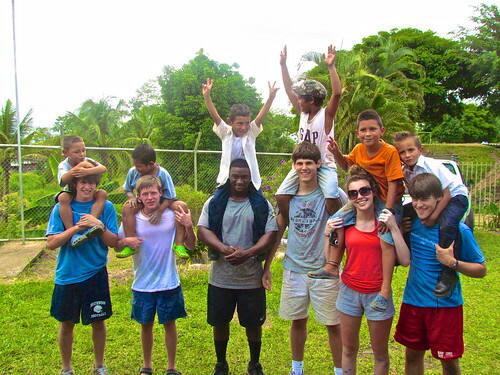 Growth and maturity are just two outcomes of student educational tours with Chill Expeditions. EarthConnect, our summer service learning opportunity for teens, is a dynamic summer abroad experience that goes beyond camp or your typical student tour. 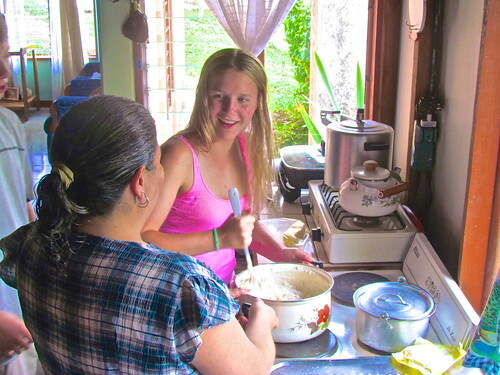 Each program dives into the intricate layers of history, geography, politics, agriculture, culinary traditions and natural environments that create such a unique culture in each country. The expansive knowledge gained, rich connections made with both peers and locals, and the incredible adventures experienced turns teens from mundane experiences to enriching their childhood and beyond. Tours that focus on Eco-immersion give pupils the opportunity to truly explore. In Costa Rica our program visits one of the most biologically diverse places on earth, while working hand in hand with a local biologist researching dolphins and frogs. We hear his stories of how he became fascinated by his back yard, the Gulfo Dulce and primary rainforests, his neighbors, and the dolphins and frogs that surround him. We become an active participant in his research project while soaking in the extreme beauty that surrounds us. We leverage the relationships that our team, along with Costa Rican communities, has worked hard to create, to build an experience of teaching, listening and giving that builds a foundation for students to maintain in the future. In Spain, stay with local Andalucian families as we become a part of their families. We walk to school with our brothers and sisters and cook with the moms, while learning about the importance of food in the Spanish culture. We take advantage of being outdoors in the mountains and rivers, which is a large part of the Spanish lifestyle, and getting behind the scenes of important cultural components such as cuisine and music. In Ecuador, we connect with a group of local teens while exploring the country side by side. Discover the meaning of teamwork as we travel six days without stepping foot in a car. Our feet, bikes and canoes will be our modes of transportation! Breathe in the fresh air of the mystical cloud forests and share stories with our peers on what life is like as an Ecuadorian versus American teen. Student educational tours and summer programs are the best ways for teens and young adults to step into a different reality, later reflecting on their own situation at home. Three years have passed since my first summer experience with teens. Through staying in touch with the students that traveled on EarthConnect, the impact the experience had still stands strong. One student traveled to a school in the Bahamas to pursue his deep interest in biology and conservation, which was sparked during his time in the Gulfo Dulce. Another student is leading community service projects in his hometown using the sustainable model and procedures he picked up in Costa Rica. It is these experiences that make Chill Expeditions team members so passionate on what we do. Creature Comforts: What Benefits Are There To Holidaying All-Inclusive? A holiday can be whatever you want it to be. Whether you enjoy relaxing in the sun with a cool drink or exploring some beautiful coastlines, a holiday can be as action-packed or as chilled out as you want. The one thing that every holiday should be is stress free. When you’ve been working hard and saving up the pennies, you deserve to have the best holiday you can possibly have. That means not having to worry about the little, annoying things, like airport transfers or where the nearest supermarket is. That means choosing an all-inclusive provider that can take care of the smaller details for you. 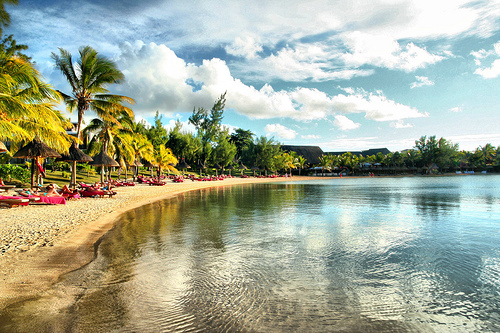 If you want to take some time for you, then Club Med luxury breaks are what you’re looking for. They offer a range of tailor-made, all-inclusive holidays designed to give you the best possible experience. In 2013, the exotic is never too far away. In addition to the traditional favourites of Italy, France and Turkey, you can now experience far-flung locations in luxury surroundings. From the intimate atmosphere of your own private riad in Marrakech, lazing in the shade of the palm trees, to the stunning azure waters of gorgeous Mauritius, scuba diving amongst tropical fish, you can now open your mind to places you never thought you’d get to visit. One such place is the magical Maldives, somewhere fully deserving of the label ‘paradise’. Your own luxury suite, suspended on stilts in the midst of a sparkling turquoise lagoon, it provides all the modern conveniences of 21st century living, whilst enabling you to fully absorb all the natural beauty around you. Wherever else you travel, the white sands of the Maldives will leave you wanting to come back to time and time again. Or perhaps you’d prefer somewhere a little more familiar, if no less spectacular. The stunning greenery and invigorating mountain air, France’s Val d’Isere and Valmorel have to be seen to be believed. The views are even better enjoyed from the serenity of your own private chalet balcony, enjoying the sunrise with a fresh cup of coffee or the sunset with a soothing glass of vintage red wine. 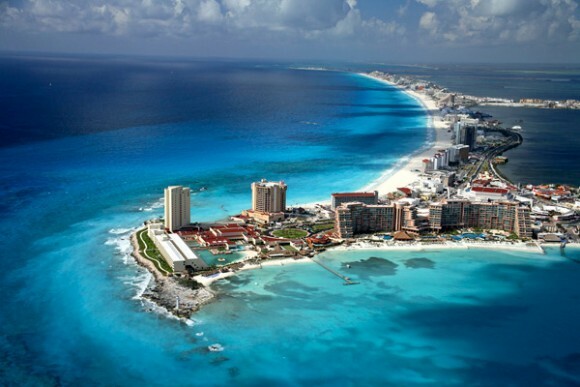 For those wishing to try the alluring beaches of the tropics, it is also possible to sample a once in a lifetime trip to Cancun, Mexico. You could take a day trip to one of the seven wonders of the world, Chichen Itza, or have the unforgettable experience of swimming with dolphins. Or perhaps just to relax in the Five Trident Luxury Space, with concierge and room service, as well as your own private minibar. Wherever you want to be, Club Med can take you there. If you are already planning to take your family on a holiday this December, you may have another nature adventure up your sleeves. But if you have kids, let’s face it, they will be far more amused by modern destinations. So, how do you keep the holiday spirit without boring your kids? How about travelling to the places that are known to have the best displays of holiday lights? Visit this site and see how you can create spectacular lights even at home or check out five of the top cities that are known to have magnificent displays during the holiday season. Number one on the list is Vienna, Austria. Shops are decorated with palm branches and silk ribbons from November to December. Giant chandeliers lead to St. Stephen’s cathedral and garlands of bulbs shine throughout the city. Then there are the Tivoli Gardens, Copenhagen that have an impressive display of holiday lights. One of the popular restaurants in Tivoli Lake, the Japanese pagoda gives a dream-like display of lights enhanced with the nearby lake, it is something worth watching. Why not sample some of the delicacies while you are there? Brussels, Belgium is the next stop for our holiday light extravaganza. The magical illumination of the Grand’Place, the Christmas market, the big wheel and the Ice rink at Marché aux Poissons attracts thousands of people each year. Commonly called a ‘Winter Wonder’, this is indeed a must-see place this year. Fourth on the list is Callaway Gardens in Georgia. Witness the magnificence of eight million lights that sparkle in the wooded landscape of this resort. Holiday scenes such as the March of the Toy Soldiers as well as beach scenes with moving lights that tell stories are some of the features of the light exhibition of the Fantasy Lights in Callaway. Last but not the least is Medellin, Columbia. This event usually starts on the 7th of December of each year when households start preparing their homes and backyards for the holiday season. 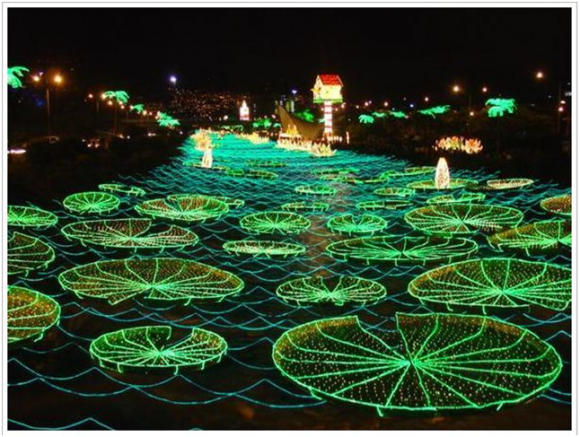 The lights adorn the whole city from roads, parks and off course along the Medellin River. Unique themes are prepared each year creating a fantasy world perfect for kids. These are just five of the places you can take your family to this December. Leave those boring nature trails for a while and give your kids something man-made to marvel at. Many people dream of an island vacation. Escaping to an island getaway is a great choice for a vacation adventure, even if it’s just for a couple of days. Many of the more popular islands can be quite busy, especially during peak travelling season, so many tourists are turning to smaller and less well-known locations for their warm, relaxing getaways. When going away on an island holiday, you want to make sure to protect your health and your belongings. Make sure to check into travel insurance to provide you with a bit of peace of mind. When considering insurance, you will want to find the best travel insurance quotes to meet your budget and your personal travel needs. 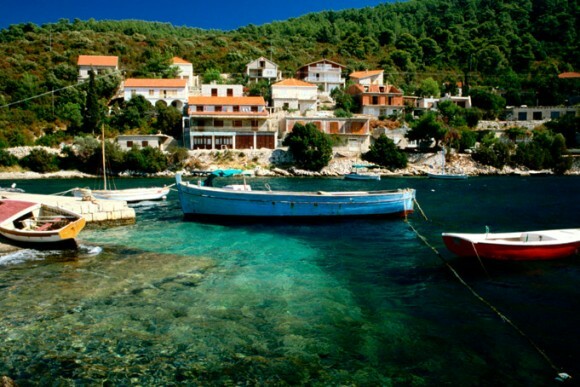 To get to Korcula, you will need to take a ferry from Dubrovnik, Croatia. The ride is about three hours, but is well worth the time taken. The island itself features beautiful, sandy beaches and some of the freshest seafood you’ll find anywhere. The town of Korcula is just as charming, as are the olive groves, vineyards and tiny villages that dot the countryside of this small, relatively unknown island. Although gaining in popularity, Isla Mujeres is still less of a tourist attraction than nearby Cancun. The island is just eight miles from Cancun, across the Bahia de Mujeres, and for the longest time held just a simple farming village. Today, it offers luxurious accommodations, water sports and excursions to remote islands for fishing or day trips. Also known as Statia by the locals, this Caribbean island’s main claim to fame is a volcanic peak, near the top of which sits the capital city of Oranjestad. As it has yet to be discovered by great throngs of tourists, this island can be quite peaceful and quiet. Although the beaches aren’t quite as extensive as those on some Caribbean islands, St. Eustatius has a charm all its own. Here you can visit a fort from the 17th century as well as one of the oldest Jewish cemeteries located in the Western Hemisphere. Pulau Ubin means “Granite Island.” This island, part of Singapore and existing near Changi Point, is much different than the mainland. Where much of Singapore is a fast-pace modernised world, the island of Pulau Ubin seems permanently stuck in the past. Fishermen still still live in stilted, wooden houses with thatched roofs and it can be a very refreshing change of pace. The island itself has thick forests and you might just spot some of the islands indigenous animal life, such as monkeys and wild pigs, during your visit. For those wanting a nice, comfortable beach experience, look for East Coast Park. Mustique, which is located in the Grenadines, is pretty unique as far as island getaways are concerned. The island itself is a private island owned by the Mustique Company. There are 1,200 people living on the island, but there are never more than 500 tourists at any one time. Those 500 guests have nine islands covering 1,400 acres to choose from, making seclusion and peace easy to come by. 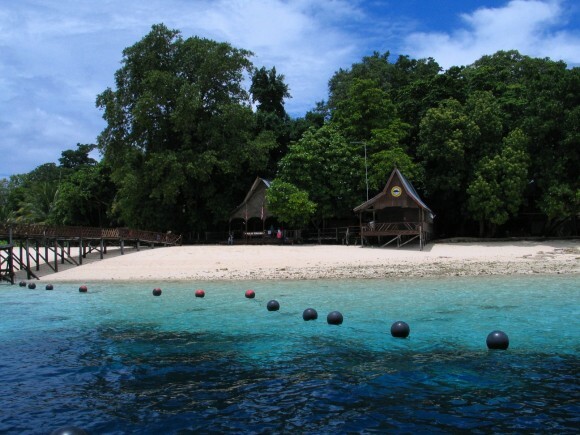 Located in the Celebes Sea, near Malaysia, this island is a diver’s paradise. Those in the know consider it one of the top dive spots in the world, and the dive sites appear to be frozen in time as they have suffered little of the stresses placed on other tropical reefs over the last several decades. Here you can see impressive schools of turtles, breathtaking coral reefs and even hammerhead sharks. When you’re done diving, there’s plenty of rain forest on the island itself to explore. Posted on 15 June 2013. Beach destinations are for many the epitome of a honeymoon trip. But for many modern newlyweds, as fun as unwinding by the sea might be, the culture, entertainment and general hustle and bustle enjoyed on cheap city breaks is a far more attractive prospect. What’s more, there are many cities that also offer a great deal of romance. Take a look at some of the suggestions below and if any of them take your fancy, follow this link to find out more about booking. Is there any holiday activity in the world more romantic than being escorted via gondola along the ancient canals of Venice as the sun sets? The famed Italian city is perhaps the most romantic of all city break destinations, making it ideal for honeymoons. While most famous for its waterways, Venice, built on 118 small islands in the lagoon where the mouths of the Po and Piave rivers join, is also home to stunning architecture, such as that found at the Piazza San Marco and Palazzo dei Dogi. There are also numerous galleries and museums to explore, not to mention dozens of excellent restaurants serving some of the best food in Italy – perfect for a romantic dinner for two as newlyweds. Barcelona’s artistic and cultural heritage make it one of the world’s most popular city break destinations, and these qualities also make it a great place for honeymooners with a love of galleries and museums. Make sure to check out the Museu Picasso, Barcelona’s most-visited museum where you can view a number of the artist’s early works and learn more about his life and travels, as well as the CaixaForum, which houses an extensive private collection of contemporary art. Barcelona is also famous for its architecture, with the works of Antoni Gaudí among the most recognisable. A trip to Parc Guell is a great way to see some of the renowned architect’s weird and wonderful creations, as well as offering the chance for a romantic stroll and the opportunity to enjoy some amazing views out over the city. For sheer class and style, it’s hard to beat the French Riviera and Nice combines the glamour and sophistication of the region with art, history and culture. Here you have the choice of relaxing by the waterfront, cocktail in hand, at one of the city’s many trendy bars or restaurants, as well as exploring the romantic old town, the ancient Roman ruins and Nice’s many museums and art galleries. Nice is also the perfect base to explore some of the Riviera’s other gems, such as Cannes and St Tropez, while spending some time at the region’s fabulous beaches – often considered some of the best in Europe – is also a must. Another option is to hire a car heading into the nearby countryside, where you’ll find stunning mountain scenery and picturesque villages dotted around the hillsides. For a honeymoon destination with no shortage of things to and see, give Rome a try, where the buzz of the city, numerous sights and vibrant Italian culture will mean there is no danger of running out of things to keep you busy. Must-see attractions include the Colosseum and St Peter’s Basilica while a night-time visit to one of the Rome’s glorious water features such as the Trevi Fountain of the Four Rivers at Piazza Navona makes for a romantic way to pass an evening in the great city. It’s coming up on the end of the month and hence another big announcement from the single-minded fanatics at the SNCF (French national railways) and this month it’s Barcelona. Starting in April French TGVs will extend their averous reach beyond the current Catalonian hub at Figueres where for the moment you have to change trains and, if you like, take in the eccentric museum that native son Salvador Dali designed in homage to Salvador Dali. The current journey, not counting whatever time you need to genuflect at the Dali ego emporium, is about eight hours and that reduces in April to a very manageable six hours and twenty minutes. Now that would be a decidedly satisfying portion of TGV travel news were it coming from any source other than the SNCF, which will lay down a high speed route to any gathering larger than a menage-à-trois if it stays still long enough. So naturally this logistical and engineering miracle combines with SNCF’s new border line unveiled in January to connect Barcelona to Perpignan, Narbonne, Montpellier, Nimes and Valence in France and Figueres and Girona in Spain. And that’s it. Except that it’s not. Also starting in April France welcomes Spain’s version of the TGV on routes between Barcelona and Toulouse. That finally is all the TGV news from France for this month, apart from the announced high-speed connection from Paris to Nice, starting in 2015, but I’ll save that for then. Honestly, factually, logically speaking, there are so many places that you can travel to. Our wonderful planet is so diverse an entire lifetime is not enough to explore all the treasures it has to offer. Although it doesn’t take a lot of research to find some place to spend your next vacation, the truth is, there are quite a few places that will turn your holiday in a unique experience. Here are some of the renowned unique tourist destinations. 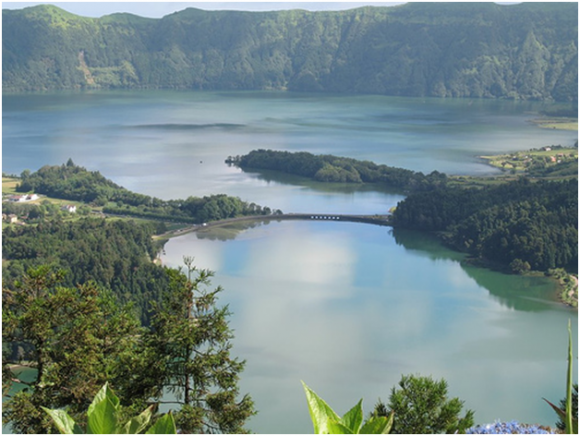 Located in the North Atlantic Ocean lies the archipelago of the Azores which is composed of nine volcanic islands that offer dramatic beauty. These nine volcanoes provide perfect lakes, hot springs and other beautiful and relaxing spots. Activities that can be enjoyed in the islands include hiking, swimming, whale watching, horse riding and many more. Another extremely unique place to visit is Bhutan. One can enjoy a variety of holidays in this Himalayan paradise from trekking to biking and climbing. With its awesome scenery- steep forested hills, misty mountains and fast flowing rivers, it is no wonder the country is named “the last Shangri-La”. Whatever time of the year you choose to visit it, you will be able to get a glimpse of the unique culture that has been carefully preserved throughout the ages and the rich tradition that is still part of the lives of the people. 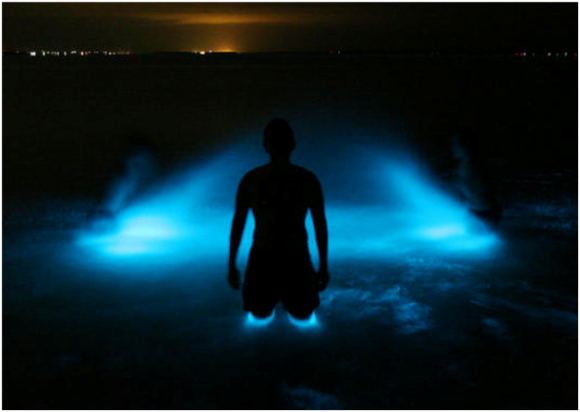 The Bioluminescent Mosquito bay may not sound so inviting but it is like a piece of heaven on earth. The delicate balancing act required for nature to create such a spectacle is extremely complicated, it is nothing less than awesome. The bioluminescent dinoflagellates Phyrodinium bahamense are a photosynthesis using plankton, when they feel pressure, they burst out into light. Simply floating on the bay will result in spectacular lights. Iceland’s Blue Lagoon suites its’ nick name ‘The land of Fire and Ice”. This one of a kind lagoon is a geothermal spa that is part of a lava formation. The experience of swimming in these warm waters rich in Silica and Sulphur while there is snow and ice all around is something you won’t easily forget. Other interesting places to visit include the Cancun Underwater Museum in Mexico, Chernobyl in Ukraine and the Ice Hotel in Sweden. For once, take a trip that is out of the ordinary and enjoy the adventure of a lifetime. The European Union is finally stepping in where cajoling, crying, praying and waiting on hold during working hours listening to a loop of instrumental interpretations of Neil Diamond has so far failed. The commission has introduced a clarified bill of air travellers’ rights, updated for the era of volcanic clouds and discount airlines and post-Diamond telephony. On the face of it the new rules don’t do a lot for travellers that existing rules aren’t already meant to be doing. In fact in some cases the rules, which aren’t expected to become law before 2014, ease the burden on the airlines. For instance carriers will only be responsible for up to three nights accommodation, which should in any case be more than enough time to fix any technical problems (and if they’re not, after three days, I’m walking) and more time is allowed before a flight has to be declared cancelled. So the bill is really about clarification. Passenger rights are already EU-wide legislation but they lacked a clarity that left passengers unsure of their rights and airlines of their responsibilities. For instance, polls of travellers indicated that airlines are unsure if passengers of delayed flights should be considered cattle or freight and they regularly ignore legitimate requests for compensation. It was also found that in fewer than 50% of cases did airlines fulfill their responsibility to provide accommodation, meals, water or any of the basics necessary to sustain life. Another survey suggested that between two and five percent of compensation claims were honoured by the airlines. While it’s unlikely that the actual number is anywhere near that high the new guidelines serve to remind the airlines that we’re onto them and just not answering the phones, while effective, isn’t fooling anyone. Carriers will have to make up an absurd fiction explaining any delays no later than 30 minutes after the expected departure time. The practice of charging to correct misspelled names on tickets will have to be replaced by some other offensively petty surcharge. A shoe tax, possibly, or coin-operated toilet paper dispensers. Above all passengers will have to be offered an alternative route, even on a rival carrier, if a flight is going to be delayed for more than 12 hours. It remains to be seen precisely how airlines will flout these new regulations but industry analysts pretending to not be paid shills for the airlines are already claiming that the implementation costs will only be passed along to the consumer in the form of higher ticket prices. The implication that airlines don’t already charge exactly as much as they can get away with appears to have failed to influence the pending legislation. If you are ready for a cruise vacation, you should know which ports will be popular in the upcoming years. There are 10 ports that many people will be visiting this year. Consider the top 10 cruise ports this year. Rome is expected to be one of the most popular cruise ports in 2013. At this port, travelers can try the piazzas, fresh pasta, gelatos and pizzas. Some of the best house wines you will ever try can be found in the Italian eateries. Travelers can view incredible tourist attractions such as the Colosseum, Pantheon, Spanish Steps, and Trevi Fountain. The Sistine Chapel in Vatican City is also popular with visitors. Cruise deals from Sydney will be incredible this year. 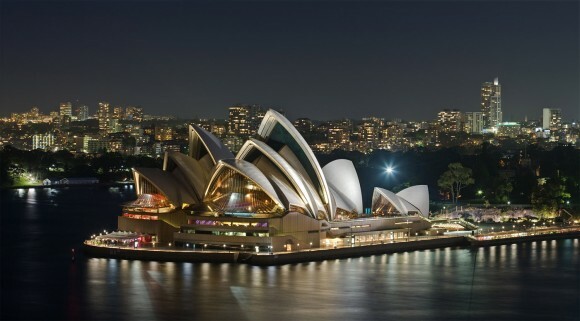 Sydney is home to the famous Sydney Opera House. This impressive design is one of the places that should be visited while on a cruise trip. The Harbour Bridge is also a notable attraction. Many restaurants, museums, and shopping locations are featured on the top places to visit. The beaches are also incredible at this location. The port at Barcelona is a great place to partake in tapas and view some of the famous sites such as La Sagrada Familia. Many travelers depart from the boat and walk along the boulevard until they find a café. At the café, they spent time sampling the delectable foods and wines. Some of the great artists are also featured in this location. Venice, Italy is known for its incredible gondola rides at sunset while listening to Italian arias. 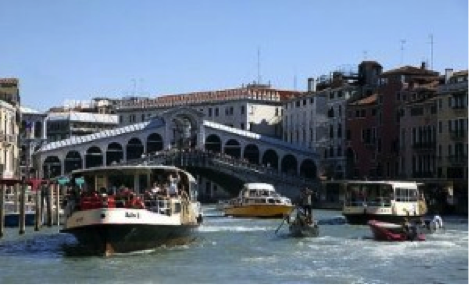 When you depart from the boat, try touring the city in a vaporreto and have wine and lunch at a popular trattoria. Paris is known for the Eiffel Tower and The Grand Louvre Museum. When you disembark, consider these locations and the numerous other shops and parks in the area. Many visitors enjoy the Chanel, Dior, Yves St-Laurent, Giorgio Armani, Gucci, Chloe, and Hermes. Aruba has some of the best beaches in the world. 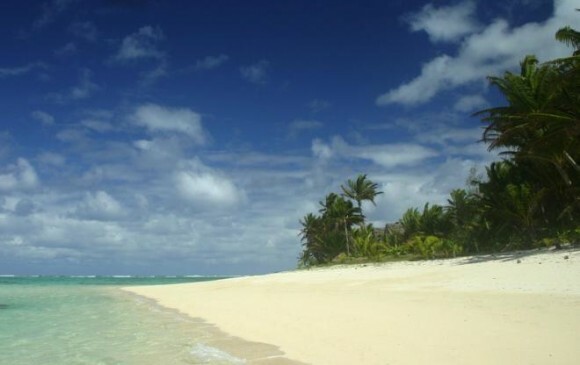 Many visitors try windsurfing or kite boarding while traveling to this gorgeous island. If you want to experience the best of the Caribbean, try Turks and Caicos. This location has numerous places to relax and unwind. Poolside bars are also popular here. If you want sun and fun, consider the Cozumel. Take a stroll along the waterfront, or explore the area on horseback or in a jeep. This Mexican island is a great addition to any cruise. London is also another place that many people like to visit because of Kensington Palace and other palaces. There are also numerous pubs, the London Eye, and double decker buses available to visitors. 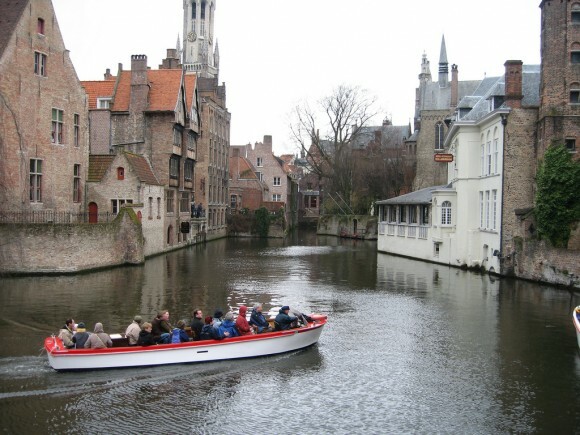 If you love guilty pleasures like chocolate and beer, you must visit Belgium. Many of the pubs feature moules’ frites, which is coveted cuisine of the area. The top cruise ports for 2013 can be found all over the world. These ports are incredible in unique ways. Consider these ports for your next vacation. Posted on 11 December 2012. As the temperatures drop, some of us just want to curl up indoors – but others dream of escaping to sunnier climes. While Christmas is traditionally a time to spend at home with the family, the usual routine can become a bit tiresome, so why not go abroad this year and see how the holidays are celebrated in another country? You can still bring the whole family, and with operators like Teletext Holidays it’s easy to find good deals even if you’re booking late. The economic troubles may be putting a strain on people’s finances, but the good news is that travel companies are cutting their prices to offer competitive deals to their customers. With more people turning towards “staycations” – that is, holidaying somewhere in the UK – to save money, travel firms have more incentive than ever to try to tempt people to go abroad, so it’s well worth taking a look at some of the last-minute offers out there. The 2012 Travel Trends Survey from TripAdvisor revealed that while the economy remains a “significant concern” for Brits, it’s not dissuading them from taking a well-earned rest: two-thirds said they plan to take between two and four leisure trips this year, with average budgets for these breaks ranging between £2,000 and £4,000. If you’re seeking a bit of winter sun, have a look at holidays around the Med – the Canary Islands, for instance, are a popular destination for topping up your tan without emptying your wallet. Places like Tenerife, La Palma and Lanzarote really come alive around the holiday season – temperatures average around 19°C in the Canaries in December and January with around seven hours of sunshine a day, so it’s the perfect place to spend Christmas on the beach! Feeling a bit more adventurous? Why not really turn your world upside down and see how they celebrate Christmas in Australia? The Australian summer begins in December, so don’t expect any snow and log fires – in fact, the traditional Australian Christmas is celebrated with a barbecue in the back yard or a picnic on the beach. Seafood, salads, cold turkey and ham are the usual festive fare, although you may still see a few Santas sweltering in the heat! Wherever you decide to go on your Christmas getaway, you’ll be guaranteed an adventure and a story to tell when you get home.